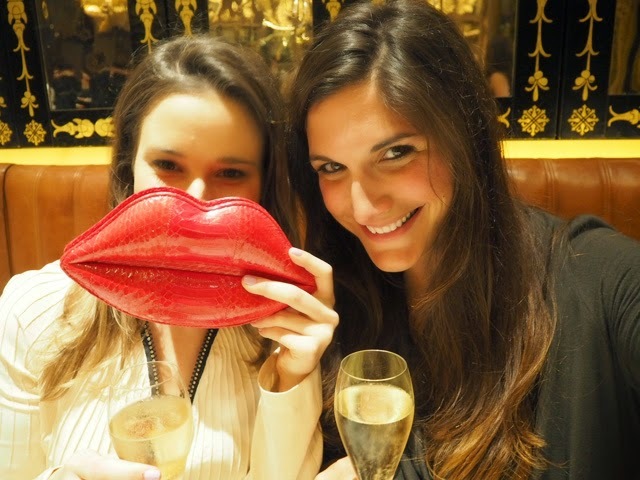 London celebrated the launch of an absolute institution this week: The Grill at the Dorchester. For those of you familiar with the Grill, take a moment to first just smack yourself for not having taken time to experience what truly is a life changing culinary moment. 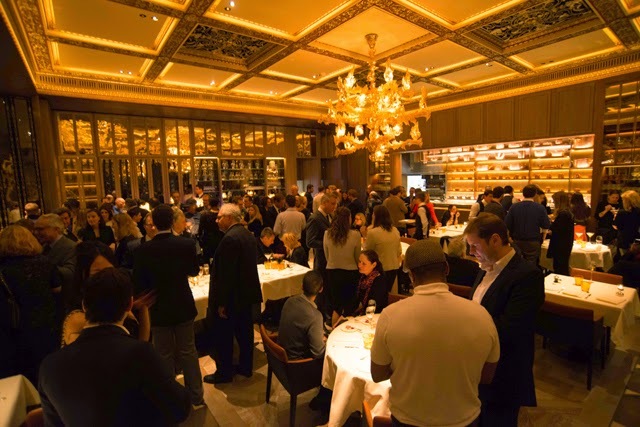 The Grill has actually been around since 1931 and has seen some of the world's most established chefs entertain some of the world's most important people. Chances are if you can think of any big name, they'll have sat within the four walls of this prestigious room. Although, with the 2014 refit, the new space is hardly recognisable. 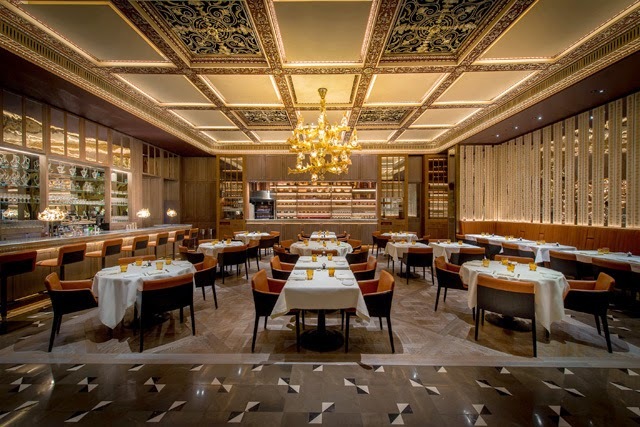 Bruno Moinard has come in and given The Grill at the Dorchester a whole new look and feel (if you're wondering where you have heard that name before, he has worked with all the big-guns in luxury such as Hermes, Christie's, Spink and Chateau Latour). While I was in residence to admire the new spacious and quite decadent layout of The Grill, we all know the real reason to visit any new restaurant is the food. So why don't we cut straight to the chase here - THE FOOD! This will, in actuality, be a two parter. 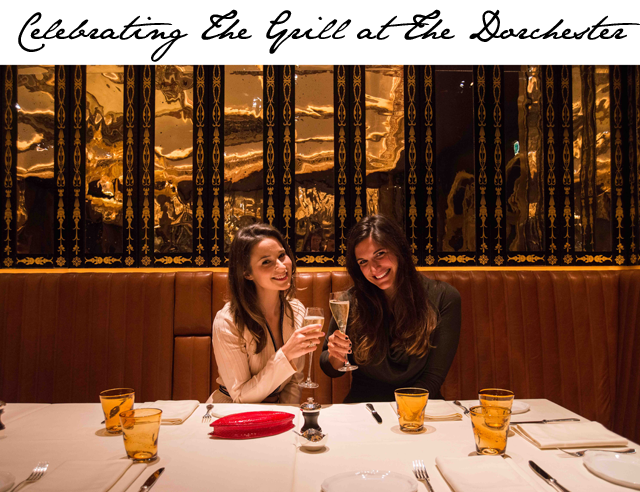 I not only sampled the favourites on The Grill at the Dorchester dinner menu, I also came back the next morning to be a part of a welcome brunch. To try and describe both in one sitting here on FFG would not be doing the new establishment any favours. Each meal is worthy of complete examination in its own space. So let's start first with my evening at The Grill in residence at the Dorchester. We actually need to take a few steps back here and first talk about getting ready for the dinner. 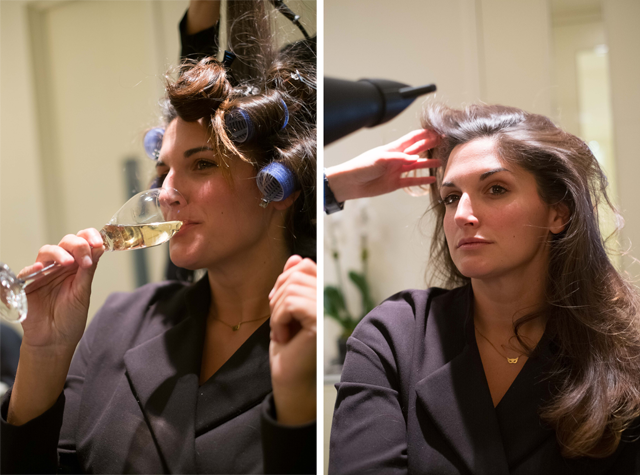 The Dorchester invited myself and The London Chatter to take part in a bit of a pamper session with the hotel before our big dinner date in The Grille (well, dinner date with ourselves and another 150 people coming to toast the launch). Now that we've got the pampering covered, we can move straight into the post-pamper food fill. 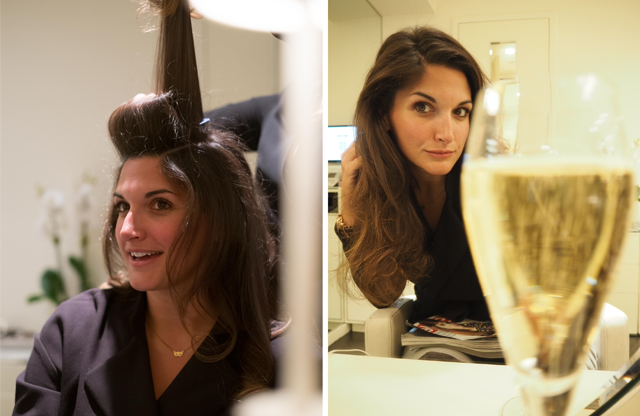 What I should have done was pampered my stomach for the re-launch of the Grill at the Dorchester. Head Chef Christophe Marleix is truly a culinary genius. I think that little fact truly came to light when I sampled his version of fish and chips. 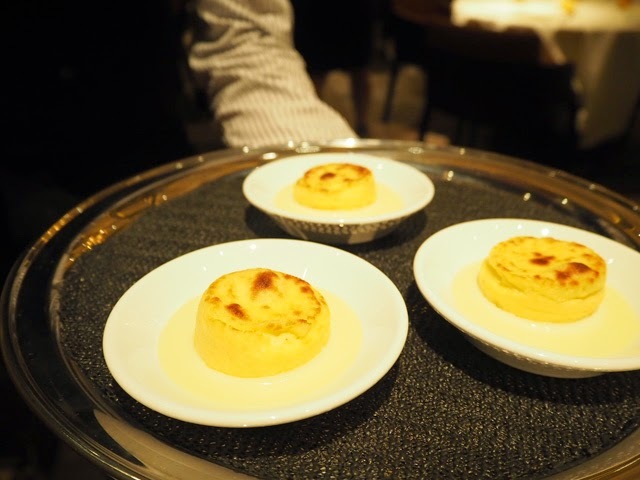 Sure, it's an iconic London dish and is celebrated as a "must eat" while in town, but I could never picture how a famous frenchman would make this dish his own. Well, people, Christophe should take meetings with fish & chippy shops up and down the country. This man has taken a country favourite and turned it into an appetiser that can only be defined as perfection personified. 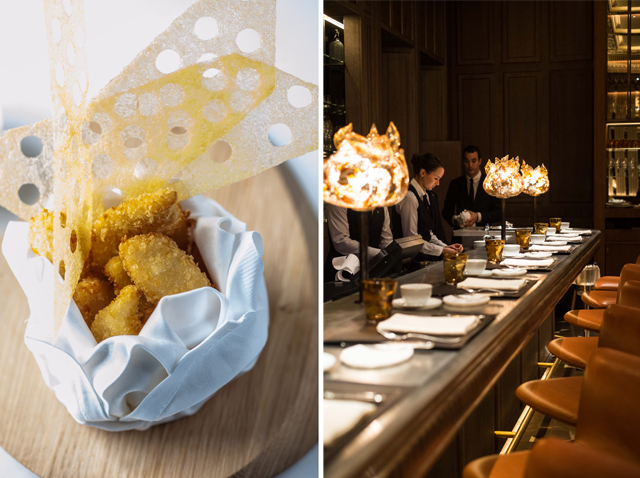 The bite-sized fish comes with potato triangles (Christophe's version of chips) and is served with a delicious tartar sauce that just has that something special. In short, if you do go to The Grille at The Dorchester and don't order the fish and chips, you are missing out on one of life's great moments. Just saying. So where does one go after fish and chips? Ha! Well, Christophe will take on you quite the unexpected journey no matter what the meal time. 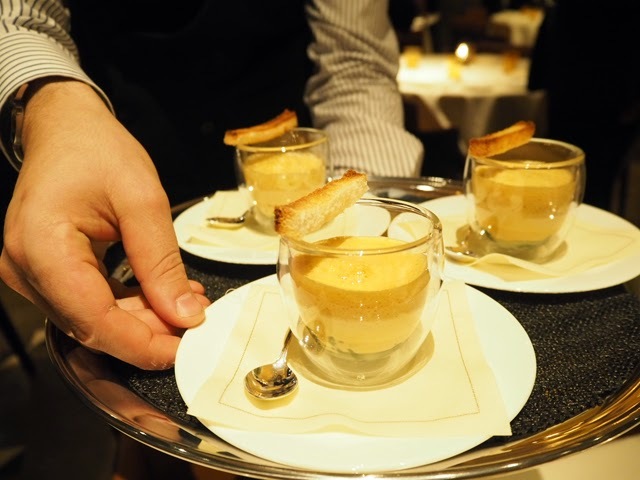 We tried lobster chowder, truffle risotto, sweet soufflés and so much more. My advice? Go with a group of people ok with the idea of food sharing, because you're going to want to taste as much as possible. Order everything on the menu- yes, everything. Every single item is worth sampling. This restaurant will turn you into a foodie. Even as I write every mouthful is coming back to me and I kid you not when I say I'm wishing such restaurants did takeaway. We'd be in trouble, people. Here's a look at the new restaurant. Warning: Get booking now! Most Pictures taken with the Olympus Pen. FFG is an ambassador for Olympus in the UK.